Thanksgiving Day is coming around, it’s a traditional festival celebrated by people in North Americans. It falls on the forth Thursday, and 22nd Nov this year. Thanksgiving day is for people to give thanks for the persons or things in their life. The pattern of the Thanksgiving celebration has never changed through the years. On the dinner table, the best and most attractive among people are roast turkey and pumpkin pie. They have been the most traditional and favorite food on Thanksgiving Day throughout the years. Every Thanksgiving Day, the Unit States up and down the country in very busy. The children also imitate that year the appearance of Indians on strange clothing, draw on facebook or put on a mask to the street singing, the trumpet. 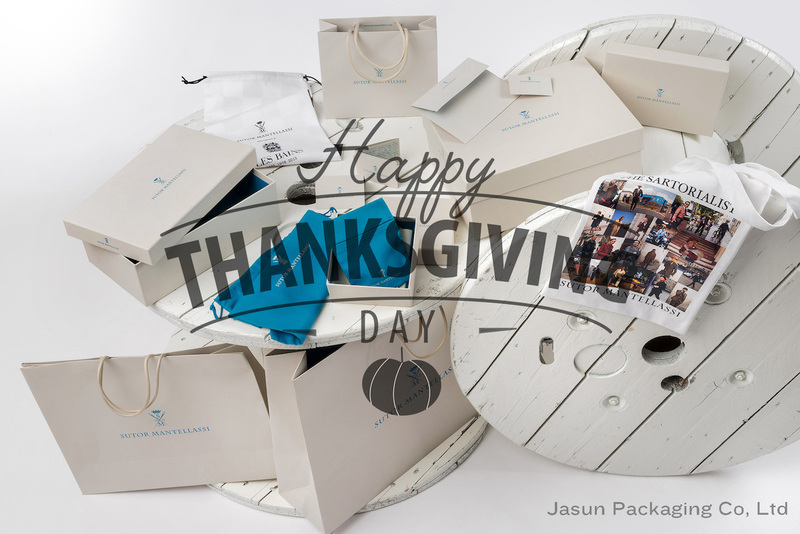 During the Thanksgiving season, Jasun Packaging would like to express our wishes to all our customers. Hope you enjoy your holiday and have a good times with your family and friends.